The new Download single sticker feature is available now. This feature will be available in the next Google Play Stable release as well (having as build number 2.19.33+). New feature in WhatsApp beta for Android 2.19.33! WhatsApp has added a new feature in the latest 2.19.20.19 iOS beta update that allows to download a specific sticker in a sticker pack. In the 2.19.33 Android update, WhatsApp has added the same feature, so you won’t be forced to download the full stickers pack. 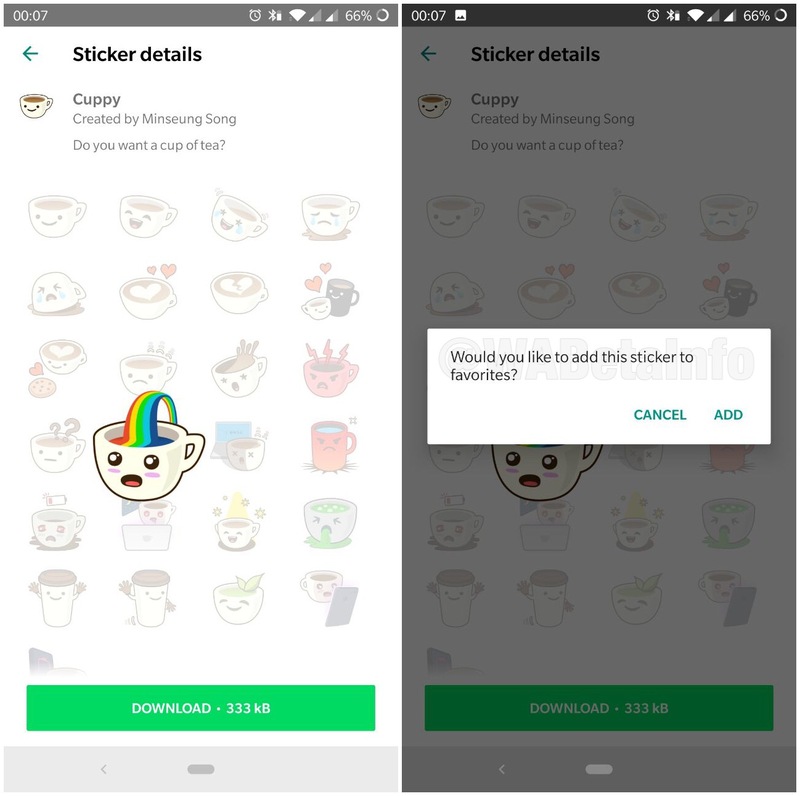 If you want to try this feature, you need to open the in-app WhatsApp Stickers Store, then long tap on a sticker in an undownloaded stickers pack and WhatsApp will ask if you want to save that sticker as favorite. Recently, Mark Zuckerberg has published a post on Facebook to inform about future plans of WhatsApp. We already published the news that payments will be available In Mexico, in future. Today, thanks to the 2.19.33 update, we have discovered that USA might get the feature as well! Previous PostPrevious WhatsApp to enable the Authentication feature for iOS beta users today! Next PostNext WhatsApp beta for Android 2.19.45: what’s new?